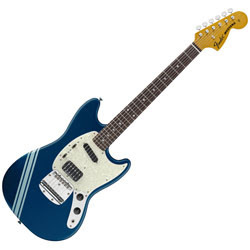 I have owned a few of the Kurt Cobain Jag-Stangs over the years and thought they were neat guitars, so I got an involuntary twitch when I heard that Fender was going to issue a Kurt Cobain Mustang guitar this year. 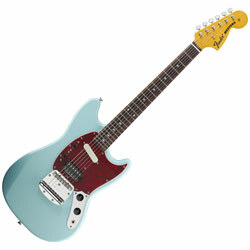 Last year’s Kurt Cobain Jaguar must have sold well if they are coming out with another Cobain model again so soon. The Cobain Jaguar was a pretty close reproduction of Cobain’s guitar, and Fender makes a big deal about this guitar being like the 1969 Mustang that Kurt used in the “Smells Like Teen Spirit” video, but it has a few differences. 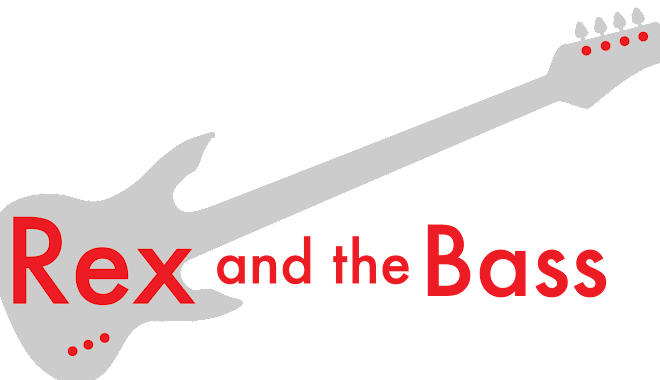 Differences such as: not having a matching headstock, having a humbucker instead of a single coil pickup at the bridge, and having the wrong bridge. Other than this stuff, it is pretty close. But don’t get me wrong here, this is a really cool guitar and the ones I have played were very well made. Plus it appears that they are available in right or left-handed versions. The Cobain Mustang is built in Japan, and my friends know that I am gaga over Japanese Fenders because they are super nice. They are available in three different poly color schemes over an alder body: Lake Placid Blue with a competition stripe, Fiesta Red and Sonic Blue. The Fiesta Red and Lake Placid Blue guitars get aged white pearloid pickguards, while the Sonic Blue one comes with faux tortoiseshell. Lake Placid Blue is the way to go, in my opinion. As with other Mustangs, this artist model has a 24-inch scale neck and 22 vintage-sized frets sunk into the 7.25-inch radius rosewood fretboard (the ivory-colored dot markers are a nice touch). The neck has a C- profile and is compact enough for the smallest hands. The headstock and the back is shot with urethane, and the whole thing is capped off with a set of vintage-style tuners that seem pretty nice. Finishing out the spec sheet is an Adjusto-Matic bridge. This is not the standard Dynamic Vibrato bridge that is usually found on Mustangs, and it is totally different than how Kurt set-up his guitars (he had the tremolo blocked with washers, so there was no tremolo available. I am not sure why Fender picked this bridge, particularly when you consider that it is a terrible piece of hardware, and it will make the guitar instantly go out of tune if you try to use it once. Aside from the bridge, this is a wonderful instrument! The craftsmanship is very good, and the one I got played terrific right out of the box, with no set-up needed. It has a lot more than garage band sound to it, too. It has terrific clean tones and the humbucker allows things to get very dirty if you let it. The Fender Kurt Cobain Mustang is a fun guitar, and is a natural choice for anyone that would like a smaller stature guitar (for whatever reason). These guitars have a list price of $1399 and a street price of $999, and I saw that Fender has a current coupon so you can get these for $899 at Musician’s Friend right now. Maybe you can use the extra hundred bucks to buy a case, because this guitar does not come with one.